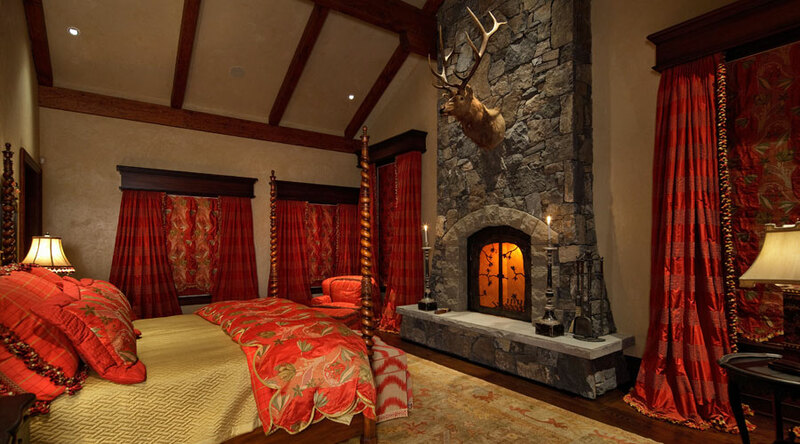 LDI designers were faced with many challenges in this 10,000 square foot Rocky Mountain retreat. 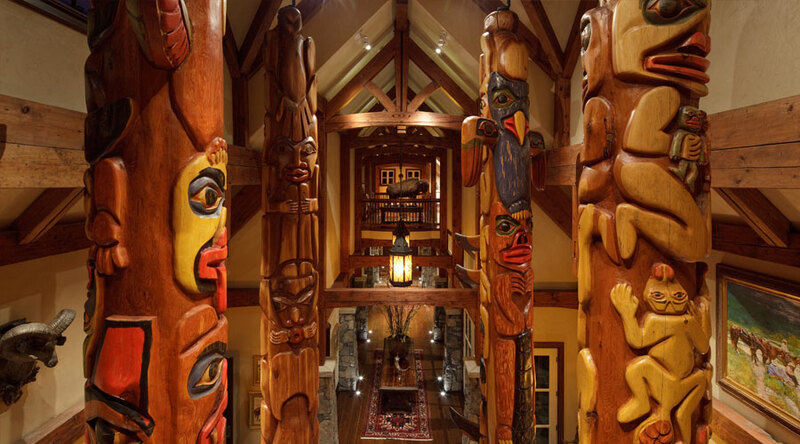 Not only did they need to achieve energy efficiency and provide adequate illumination in a large timber home the team worked to highlight the homeowner’s art collection that includes totem poles, taxidermy, paintings, bronzes, and textiles from the region. The totems that greet visitors in the Entrance Hall are 30-feet tall and can each be rotated for view because they are mounted on turntables. 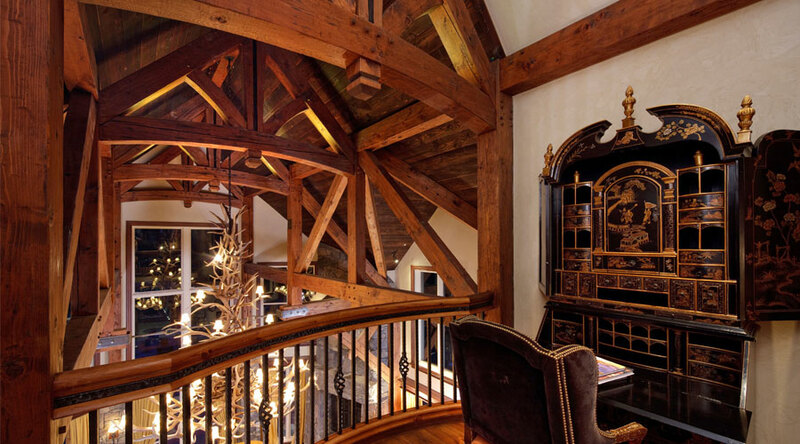 The designers highlighted timbers on the ceiling by tucking LEDs on the top of beams. 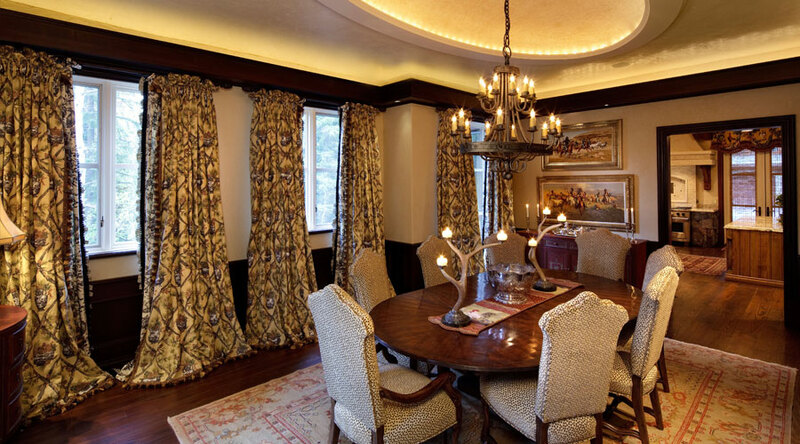 LEDs have long life and are very low maintenance for the homeowner. To light spaces like the Kitchen, the LDI team layered the lighting. 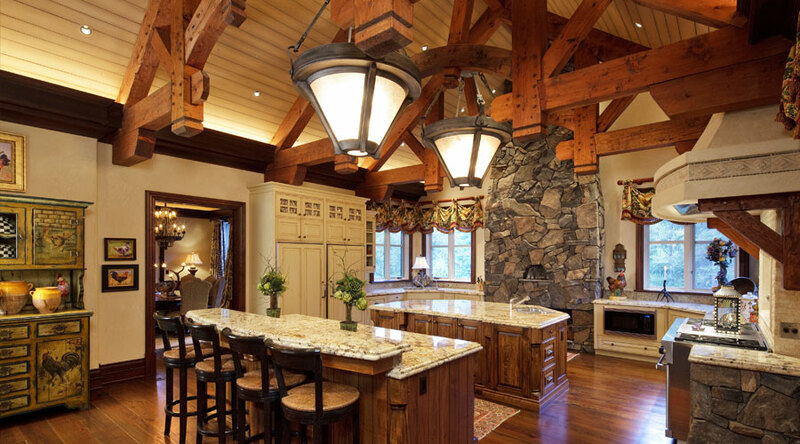 Pendant lighting above the kitchen islands is beautiful – but also adds a glow to the ceiling so that everyone can experience the grand size of the space. For baking and cooking, designers added adjustable white lights above work areas and LED lighting above the counters. 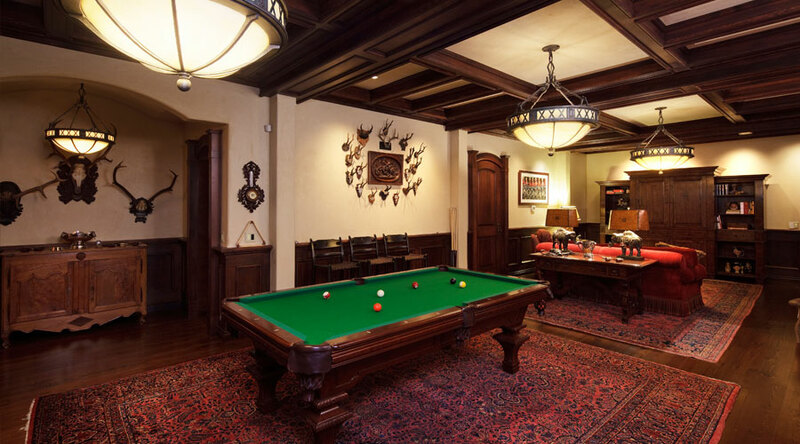 The Library and Living Room each had custom chandeliers and decorative light fixtures that bring the large spaces to a human scale. 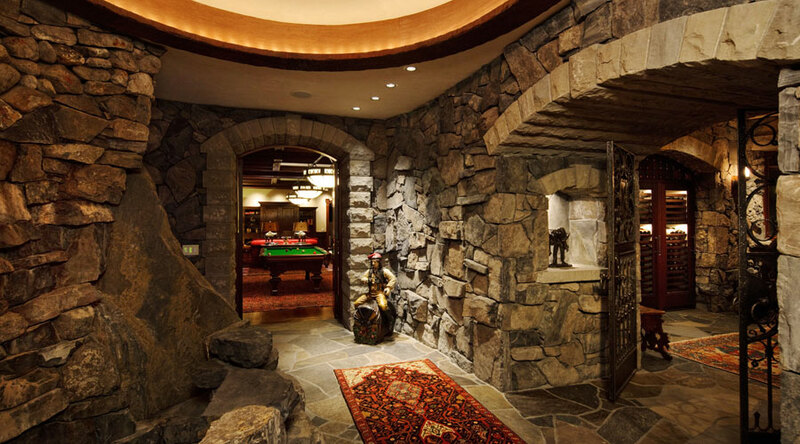 The control system in the house ensures that the lighting is very easy for the homeowners to use. It also means that significant energy can be saved and lamp life can be extended. Control systems are also convenient for families that travel and vacation. 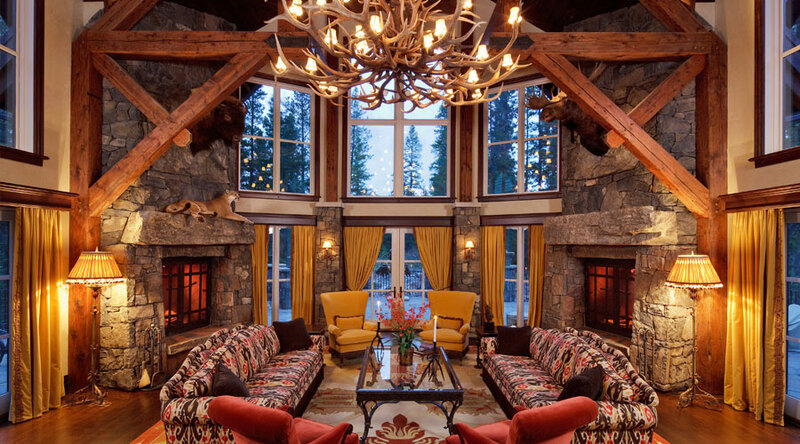 This house becomes a fantastic frame for the beauty of the Rocky Mountains, and visitors are at one with the timber while they enjoy the art inside and out.